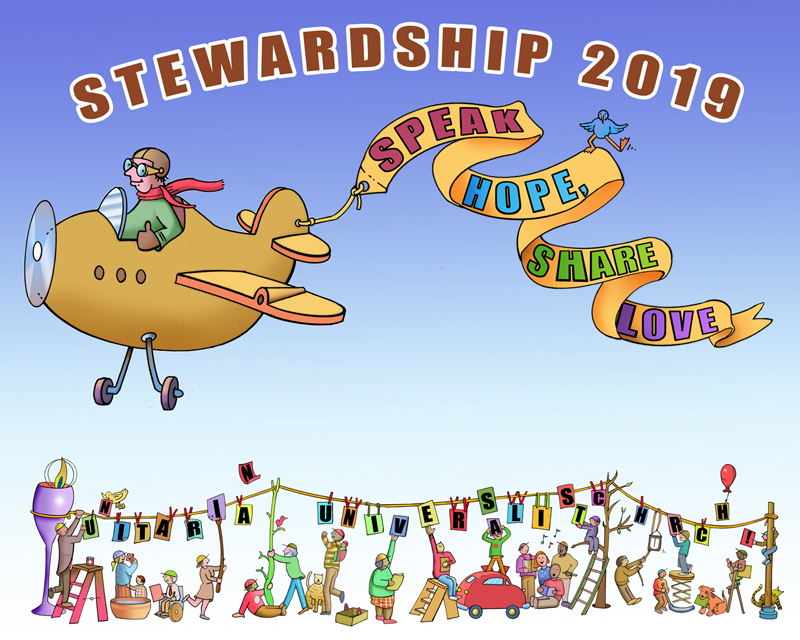 Stewardship 2019 Videos – Why is UUCC important to you? What are six easy ways to submit a pledge? I have a limited income – what should I pledge? How is pledging different from putting cash in the the offering plate? How can I change my current pledge? The Unitarian Universalist Church of Columbia is financially autonomous. We have no diocese or umbrella organization to support us if we fail to meet our annual operating budget needs. We are it – we are in effect a co-op. The annual stewardship campaign provides about 90% of the revenue we need, with the rest provided by pledges made at other times of year, church facility rentals, undesignated Sunday offerings, and fundraisers. The annual stewardship campaign is held in late winter every year, but pledges can be and are made throughout the year by new members and friends as they realize the value they find here. During the stewardship campaign, every household in our community is asked to make a pledge – a promise – of financial support. 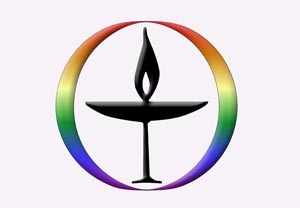 The pledge you make and then honor in the upcoming year keeps the Unitarian Universalist Church of Columbia thriving. Use our online pledge form. Give your paper pledge card to one of the stewards at the Stewardship Table in the Greeting Area. Deliver your pledge card to the church office. Put your pledge card in the collection plate at a worship service. Scan your pledge card and email it to the church administrator. We have many non-members of the church who pledge financial support. We call them friends of the church. We invite everyone who is regularly participating in church activities to make a pledge. This is a personal decision. We ask that you consider your personal budget and determine an amount you can contribute to the church on a weekly or monthly basis. We believe that our standard of giving should reflect our standard of living. We ask everyone to consider making a pledge that is both responsible and significant based on his or her own financial situation. A commitment appropriate to our faith tradition is 2% to 5% of net household income. For more guidance, see the Fair Share Guidelines on the How to Pledge page. How is pledging different from putting cash in the offering plate? While cash donations via the weekly offering are greatly appreciated and are used to help support the church and its causes, they are unpredictable, and thus we cannot rely on them in planning our budget. Also, twice a month, undesignated cash offerings go toward our Faith-to-Action collections. Other the other hand, pledges give us a good idea of the funds we can expect during the year so we can plan our operating budget. Pledge payments may be placed in the offering plate, but we ask that they be made by check with a notation on the memo line that they are for your pledge. If you want to place cash in the offering basket toward your pledge, you can place it in an envelope with your name on it – otherwise, we have no way to track cash contributions. If you are eager to know more about our volunteer opportunities, committees, and other areas where energies are needed, please read our weekly announcements or talk to the Rev. Molly Housh Gordon, board members, or various team or committee leaders about the options open to you. 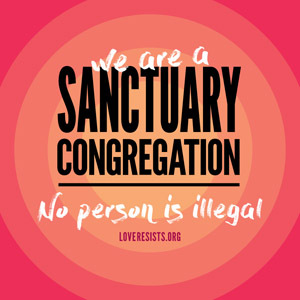 If you are a member of the church, almost $100 of your pledge goes to pay national and regional dues for the Unitarian Universalist Association. The rest of the pledge is used to pay salaries and benefits to our staff, building maintenance costs, administrative costs, and the costs of worship services, religious education, ministries, programming and committees/teams. Our budget, approved by the Board of Trustees and then by the membership, details the amounts budgeted for sub-items in each of these areas, and we provide regular reports of our expenses. If your financial circumstances change and you want or need to change your pledge – either up or down – simply contact Church Administrator Suzanne Clark and tell her what you need to do.